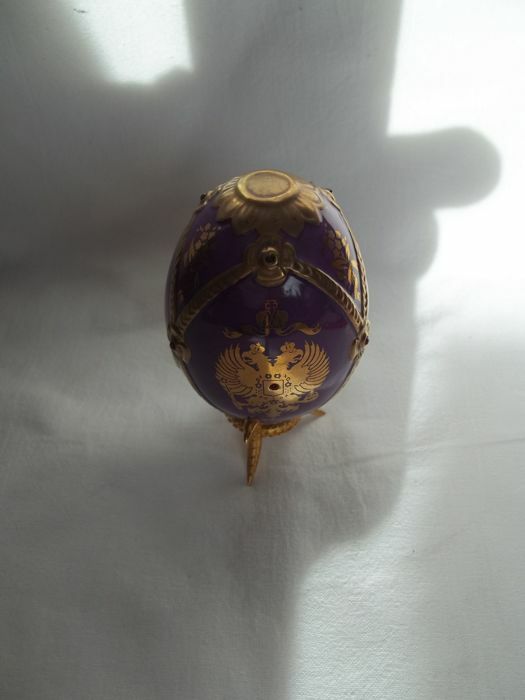 House of Fabergé - "The Imperial jeweled Egg Collection" - This is the "Imperial Crest" egg with stand - Limited edition - Very, very good condition. 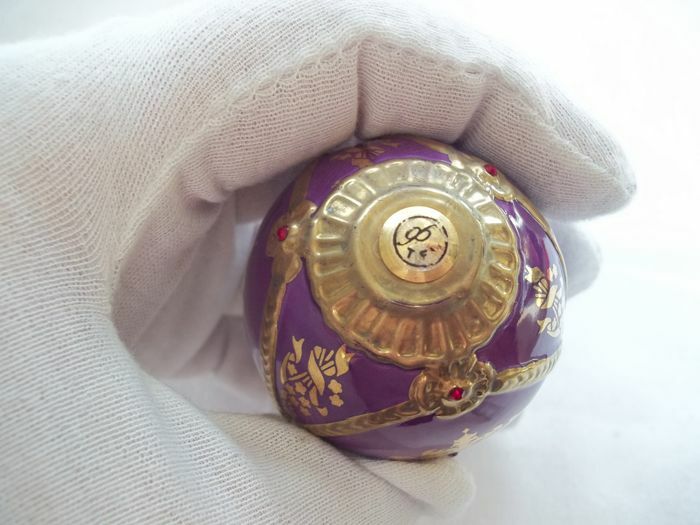 Limited edition - Very, very good condition. 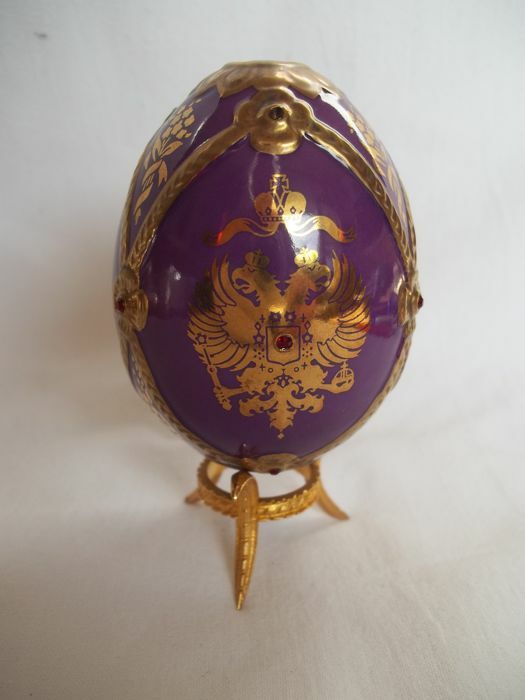 "The Imperial jeweled Egg Collection"
Collector’s egg of "The Imperial jewelled Egg Collection". 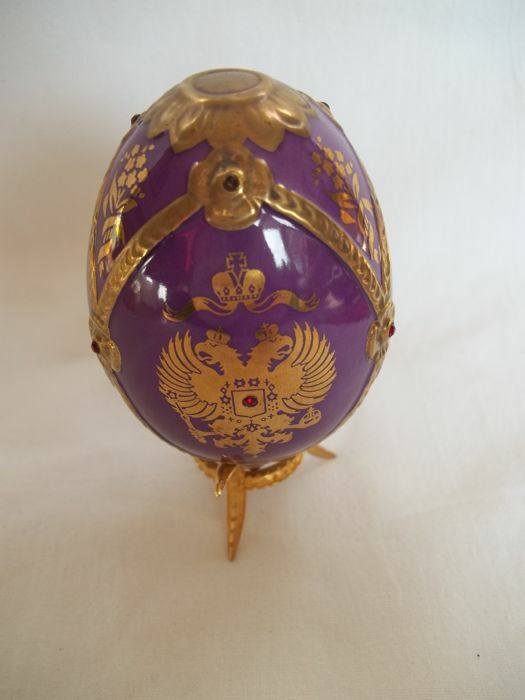 This is the "Imperial Crest" egg with stand. 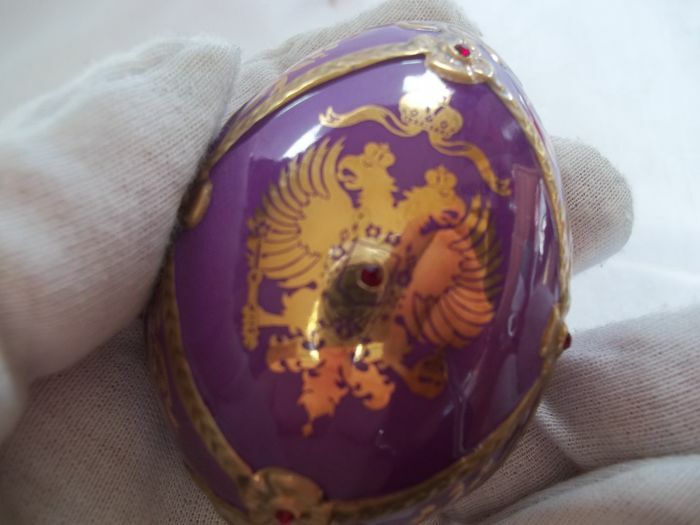 It has the imperial double-headed Fabergé Eagle on the front and the back. 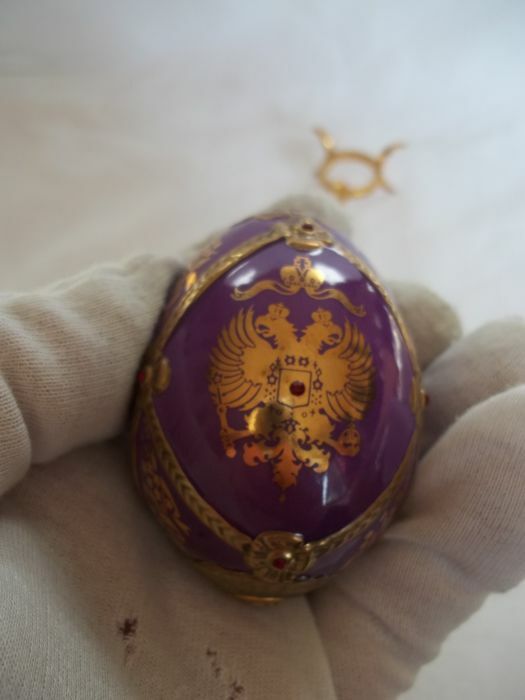 Signed on the bottom of the egg. 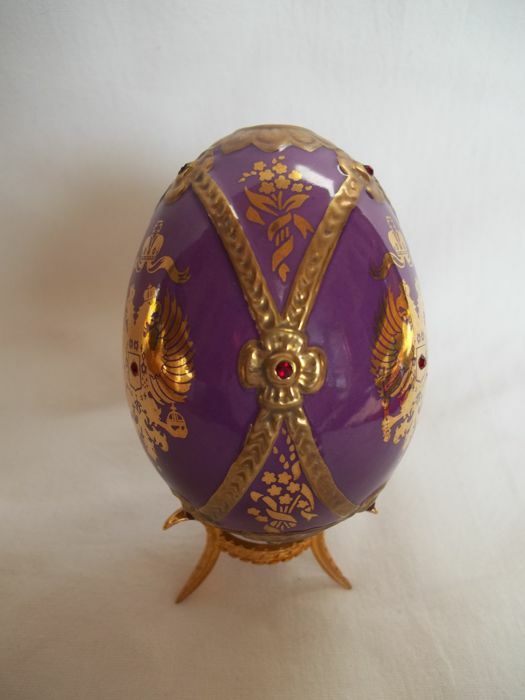 The egg is handcrafted in fine porcelain, hand-painted, and hand-decorated in regal colours and richly embellished in 22 karat gold with Austrian crystals . 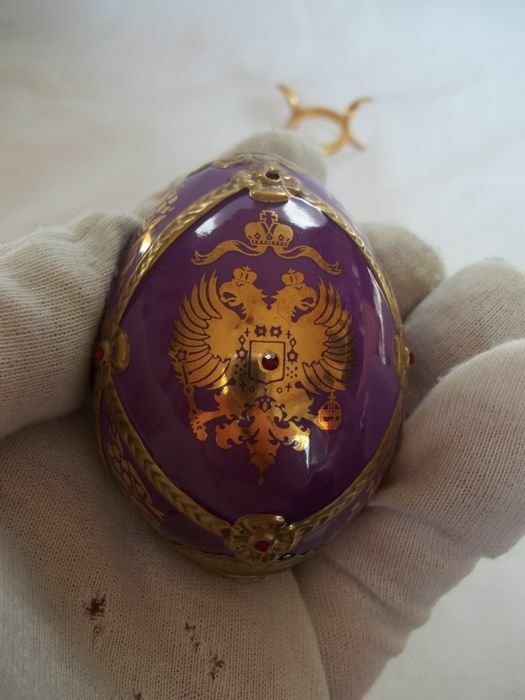 The egg is in very, very good condition. 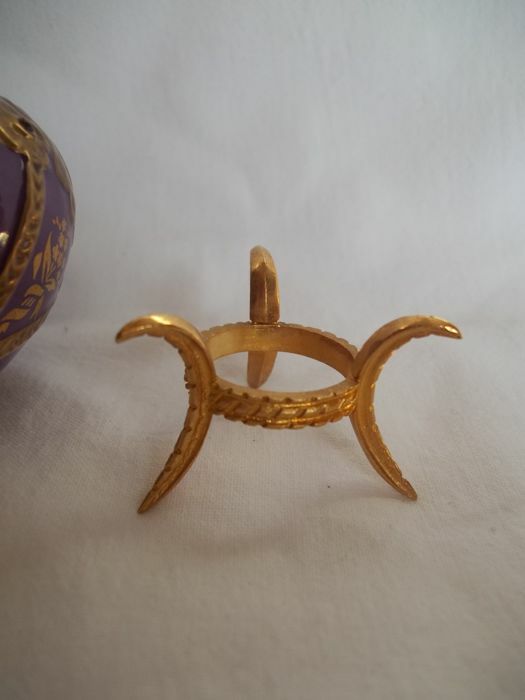 Also the stand is 22 carat gold-plated and in very, very good condition. 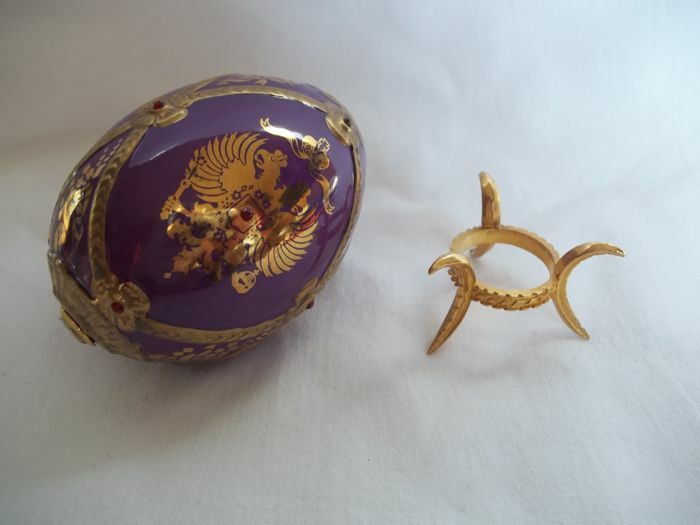 In reality much more beautiful, the gold is very difficult to photograph. The gold is more shining than on the pictures. 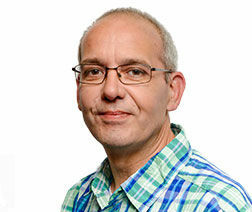 Will be sent by insured and registered mail , pick up also possible in Den Bosch , Noord Brabant.